As many people debate the future of crypto currencies, it is interesting to see how blockchains have been portrayed as nothing more than a medium for payment. In our opinion, the only way to really draw the benefits of blockchain technology is to develop industry and function specific applications. You could of course have a project that begins and ends with a crypto currency. The butterfly like flitter of such crypto values might interest some but, only for a while. For sustained success, a blockchain will need to identify specific weaknesses in one or more processes, the project should then clearly reveal how it could address these issues. While the crypto world might throw up a handful of millionaires every now and then, this will turn out to be a diminishing trend. Blockchain platforms will need to work with real life business scenarios. They will need to carve a place for themselves, no amount of marketing hype would help. A great example to discuss is about the diamond industry, more specifically the marketing function. Most of us are aware that diamonds glitter and that they are quite are. Another thing about diamonds that almost everyone knows about is that, prices range from expensive to very exorbitant. Besides the price of diamonds, prospective buyers are often afraid of being cheated. The fears are justified because there are more than one way through which, the buyer could get cheated or receive substandard stones. At the basic level, diamond fakes are often passed off as the real thing. Even natural diamonds can have vastly different prices, cut, clarity, size and color generally define the value of a diamond. The biggest problem is that, understanding a diamond and learning to identify the stone and assess its value is a very specialized process. Most casual buyers would rely wholly on what the seller tells them. One stark fact about diamond trade is that, it is significantly controlled by brokers and commission agents. Each diamond passes through a number of brokers, each broker piles his own commission on the price tag. The consumer pays much more than what the original diamond seller wished to charge. Many prospective buyers are aware of this and therefore, refrain from making a purchase. Following current processes to handle payments for the purchase of diamonds and related services, the parties to the transaction need to go through tedious bank work, spend on currency conversions and pay significant bank fees. When you talk about diamond blockchains, it will be impossible to ignore the GLITZKOIN project. The project plan is focused on bringing about a huge improvement in the diamond marketing (trade) sector. The team includes diamond veterans with decades of experience. Technology is indispensable and this explains the presence of blockchain and online security experts in the team. Without sounding like a sales pitch for this project, let us briefly explain the primary object. The GLITZKOIN project includes the deployment of a diamond trading platform constructed on the Stellar blockchain. Anyone could list their diamond for sale and anyone could buy a listed diamond. Most importantly, buyers would interact directly with the seller, no intermediary brokers. This means that the price tag is not inflated with the profit margins of numerous middlemen. A buyer would get complete diamond value for the amount paid. The items listed on this blockchain will need to necessarily have an authentication certificate, which should be issued by one of the few specified reputed diamond testing laboratories. The certificate will clearly mention diamond authenticity, grade, size and weight. No guessing and no fairy tales, just the bare and true facts of the stone. Buyers can make a decision based on objective factors. Even a layman could confidently purchase a diamond listed on the GLITZKOIN diamond platform. We just said at the beginning of this report that, a blockchain with nothing more than a crypto currency will have no place in the near future. While there will surely be a few exceptions, a much broader project plan is more likely to see success. 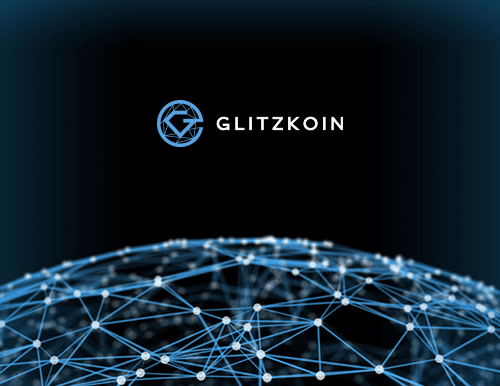 The GLITZKOIN project does include a crypto currency, this to facilitate a simple payment process that does not have to pass through cumbersome banking routes. Currency conversion costs and high bank fees would also be reduced or eliminated. As governments debate regulations and laws to control crypto currencies, it is almost certain that projects like GLITZKOIN with their capability to solve real industry problems, will get the nod. This explains why, the project has drawn immense interest from both, the crypto world and the diamond industry.